A shadowy organization is pulling the strings of all the criminal groups in Gotham. While the city has never truly been safe, lately the criminal underworld's unrest has put the city on the precipice of total destruction. It's up to Batman, Robin, Batgirl, Catwoman, and the Gotham City Police Department to stop the advancing hordes of criminals running wild on the streets, all while still working to uncover the devious plots of Gotham's greatest villains! 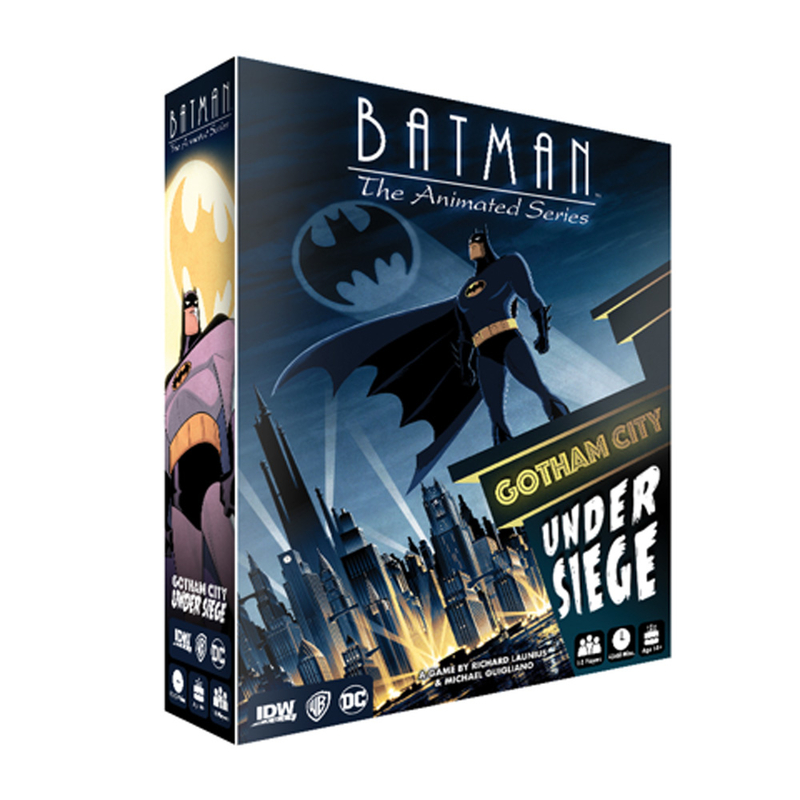 Batman: The Animated Series-Gotham Under Siege has you and up to 4 of your friends playing as Batman and his trusted allies. 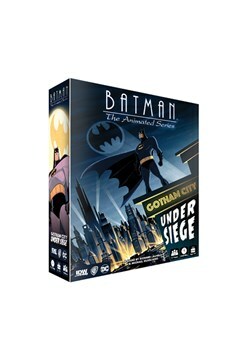 Each round you'll face off against a set of story cards all inspired by the first season of Batman: The Animated Series, and roll a pool of dice to complete actions. You'll need to balance between cleaning up the streets of Gotham and completing story missions in order to protect the city. Let too many civilians fall or buildings be destroyed, and there will be nothing left for Batman to protect! Diamond Exclusive Pre-Order Incentive: Pre-order 1 copy of Batman: The Animated Series-Gotham Under Siege and you will receive 1 exclusive The Joker/Harley Quinn art print by Sean Galloway and Leonardo Ito * Includes 5 highly detailed miniatures! * Advance solicited for July release!Game design from Richard Launius (Arkham Horror, Planet of the Apes)! * Features all-new artwork from Sean Galloway and Leonardo Ito!.